This page is about the light tank AMX-13 (SS.11). For other uses, see AMX-13 (Family). The AMX-13 (SS.11) is a gift Rank IV French light tank with a battle rating of 6.7 (AB/RB/SB). It was introduced in Update 1.75 "La Résistance". After Update 1.81 "The Valkyries" this vehicle was removed from purchase. Update 1.83 "Masters of the Sea" saw the return of this vehicle for 7,480 Golden Eagles. The AMX-13 (SS.11) only difference from the AMX-13 light tank series is that rack of four deadly SS.11 missiles in the oscillating turret front. Everything else from the two protruding radio antennas to thee four smoke dischargers are quite identical to the original AMX-13 model. Ammo racks of the AMX-13 (SS.11). Rack #6 and #7 are ready racks for the autoloader. The AMX-13 is a flanker. This combined with the SS.11 ATGMs on board gives the ability to do two different styles. Either to zoom around (shoot’n’scoot) or stand far back and send missiles flying towards the enemies. In RB though, the missiles are controlled by WASD, making aiming a little bit more difficult. Furthermore, avoid getting shot at all cost! The armour might save you from 0.50 cals, but 14.5 mm and larger will destroy the vehicle in its entirety. Flanking is a viable option, done in the same way as M18, without the penetration needed for frontal armour. 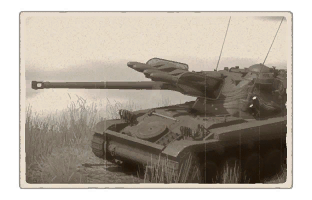 The AMX-13 (SS.11) is exceptionally fast and agile, but sacrifices armour to achieve this. Due to this, it's best to use this tank as either a hit-and-fade flanker or as a standoff sniper, especially with the SS.11 ATGMs onboard. Try to get around areas that enemy tanks would not typically expect a light tank to be and wait in ambush position for enemy tanks to pass through. Due to being able to get a shot at the sides, the cannon should be used for the first shot, and especially so due to the auto-loading system able to load in rounds in about six seconds. Utilize the SS.11 missiles during these reload times to ensure that the enemy target is annihlated. As a stand off sniper, don't be anywhere too near the front line where allies and enemies are duking it out. Try to stay around the corner, only peeking out a bit only to hit at an enemy not paying attention with the 75 mm cannon, or precision targeting with the SS.11 missiles. Take care not to hit any allies when firing the missiles from a distance. Main cannon autoloader with 12 shots ready to go. Nice cannon that will penetrate sides of other vehicles. A total of four (4) SS.11 Missiles ready to go. SS.11 penetrates 600 mm of 90 degrees RHA at any range. SS.11 has a rather small dead zone of about 200 meters, more useful in closer engagements. AMX-13 low profile allows for easier concealability among terrain. Has great acceleration to get up to speed. Has four smoke dischargers, just in case. Cannon may not be reliable enough to penetrate vehicles from the front at this rank. After the turret auto-loader is done, gun will not fire or reload until a ready rack is replenished. Auto-loader means loaded rounds are homogeneous and lacking in flexibility, loading HE will offer 12 HE rounds only. SS.11 still has a dead zone that makes it unusable in point-blank engagements. 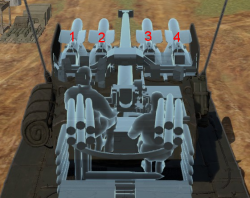 Missiles are aimed with WASD movement keys, tank must be stopped when guiding missile to target (RB/SB). Missile racks cover up a portion of the sight from the tank gunner's persepctive. Non-existent armour, but will protect against the .50 cal M2. HESH (High Explosive Squash Head) and HE obliterates this vehicle. SPAA can and will obliterate the AMX-13. Three crew members in a cramped tank means an inability to take a loss without dip in combat efficiency or outright destruction. Top speed is rather poor for a light tank. Smoke discharger fire all at once, player will have to make the most of that one screen. Initial development of the AMX-13 began after WW2 ended. In 1946, the French army needed a new fighting vehicle to support paratrooper units. This new vehicle needed to be fast and lightweight with a maximum weight of 13 tons.The contract was awarded to the state-owned Atelier de Construction d'Issy-les-Moulineaux (AMX) company, which was located close to Paris. AMX was able to quickly design the new vehicle and build the first prototypes in just 3 years.After successfully blazing through initial trials, AMX started producing the AMX-13 in the early 1950s. Production continued well into the 1980s as the aging AMX-13 was continually modernized, modified, and upgraded.The AMX-13 SS.11 is a modernized version of the AMX-13 developed during the Cold War. By 1962, the AMX-13’s standard 75mm cannon had become less effective against the armour of contemporary tanks, some of which had begun using composite armour. In 1962, the French military high command approved modernization work for the AMX-13 to upgrade and increase the AMX-13’s firepower. However, while increasing firepower was the primary goal, the French high command didn’t want to exceed the AMX-13’s weight. This limited options and ruled out major upgrades, so the engineers decided to mount four SS.11 first generation ATGM launchers to the front of the turret.The changes were incremental but achieved the desired effect. 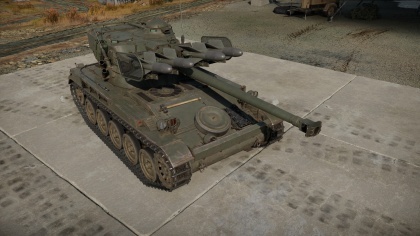 Thanks to the ATGMs, the AMX-13 could now effectively engage targets up to 3km away and penetrate up to 600mm of steel armour—something previously impossible for the 75mm cannon alone.The AMX-13 SS.11 joined the ranks of the French army in the 1960s and continued to serve for well over two decades.